Emotions run high in this beautifully rendered sci-fi/sports movie. 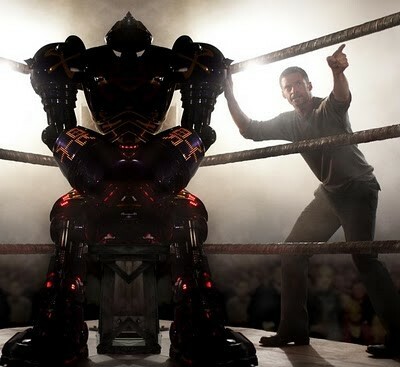 An ailing grifter, boxer and deadbeat dad, Charlie Kenton (Hugh Jackman) keeps afloat by taking any robot he can scrap together to the ring to knock the block off any other metal head for money. Silly premise aside, this underdog robo-boxing movie shows real heart and warmth between the human actors while the steel athletes float like butterflies and sting like bees to a point of realism. Max Kenton (Dakota Goyo) takes the championship belt as the moxy, smart-mouthed kid who revives his father’s fighting spirit, and the two---plus the robot Atom---pull together a touching and powerful victory.